Vayrynenite is an anhydrous manganese-beryllium phosphate with hydroxyl, and was named in 1954 after Heikki Allen Vayrynen, professor of mineralogy, Helsinki, Finland. It is the manganese correspondent of hydroxylherderite. 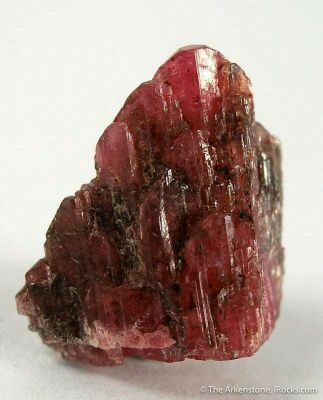 Vayrynenite forms translucent to transparent, pink, pinkish brown, pinkish red, prismatic crystals, elongated and striated along . It commonly occurs as subhedral crystal sections in pegmatite. The type locality is in granite pegmatite at Viitaniemi, Eräjärvi area, Orivesi, Finland. It is also found at the Bendada pegmatite, near Guarda, Portugal; the Fregeneda pegmatite, Salamanca Province, Spain; and as exceptional crystals from Saichis, Rhondu district, Gilgit-Skardu Road, Gilgit-Baltistan, Pakistan and the Broghul Pass area, northern Chitral Valley area, Pakistan-Afghanistan. Vayrynenite is interpreted to be a late-stage alteration product of beryl and triphylite in complex zoned granite pegmatites. Associated minerals include: hydroxylherderite, hurlbutite, eosphorite, moraesite, beryllonite, amblygonite, apatite, morinite, tourmaline, topaz, muscovite, microcline, quartz. 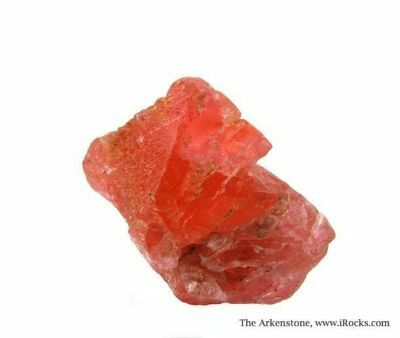 You can buy these rare pinkish crystals online from The Arkenstone, www.iRocks.com to add fine mineral specimens to your collection.